TextFridge is a small utility which allows you to store lots of texts that you often need to write (up to 150 texts). Its interface is minimalist, its use is simple and easy. Of course, application data is automatically saved on your computer. But it is now possible, to export this data (for example to "iCloud Drive" or to "Dropbox") and then to import it to another Mac. Drag texts from anywhere to a line of TextFridge, drag texts from a line of TextFridge to anywhere. Of course many other functionalities are provided by icons at the bottom of the main window, by contextual menus or by the Edition Window of a line or of a color when displayed. 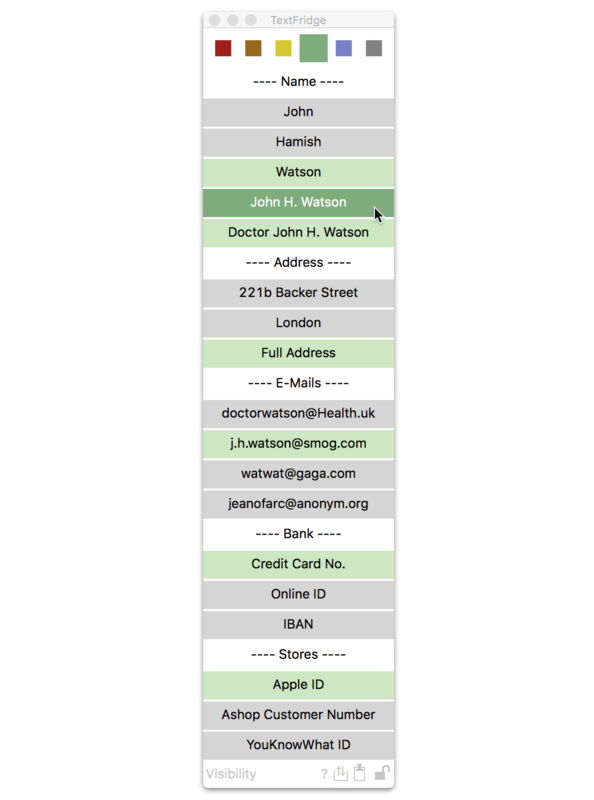 Have a look at the complete list of functionalities in TextFridge Help. In each color, store up to 25 texts, making up to 150 texts in all. Click on the button below to get TextFridge for less than one dollar. 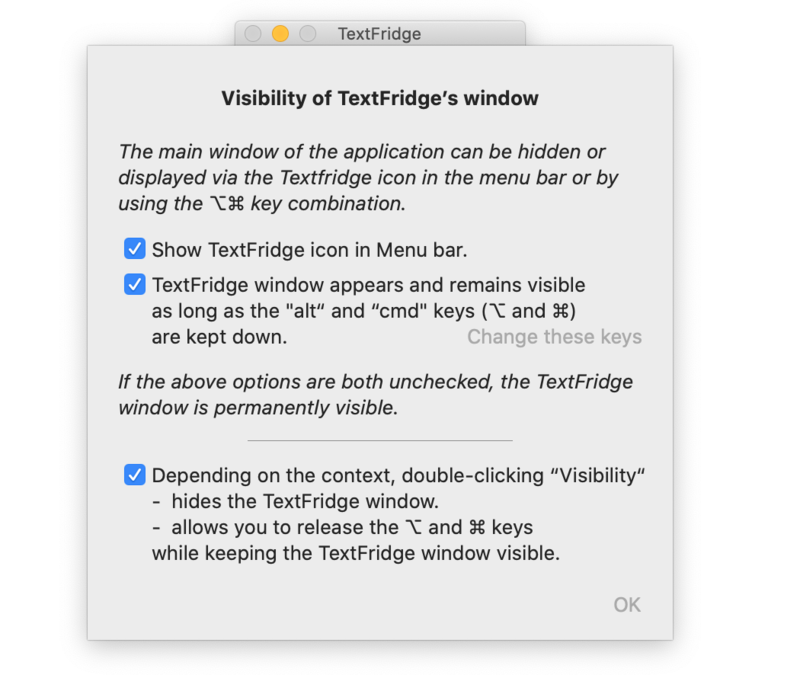 Display TextFridge Help (included in the application). VoicePicker simplifies the use of the speech synthesizer included in macOS .